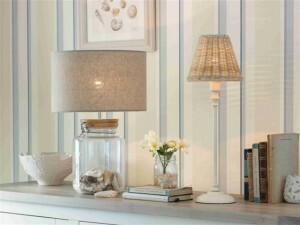 I am delighted to announce our new COASTAL LIVING collection for the home. The call of the coast lifts the spirit and allows a breath of fresh air into your home. Our Coastal Living collection is all about simplicity and comfort using a classic palette of new washed sea spray blues with neutral linens and white. Textured fabrics and slouchy upholstered furniture create a relaxed feel however far away from the waves your home is. The Cabinet Furniture is the new DORSET range which is classically elegant featuring a gentle chalk wash that harmonises perfectly with the solid ash tops whilst contrast brushed steel effect handles and hinges introduce a contemporary twist. Gorgeous home accessories pull it all together beautifully to create a calm, peaceful family retreat. Have attached low res imagery and if you require high res images or product on loan for editorial styling please let me know.